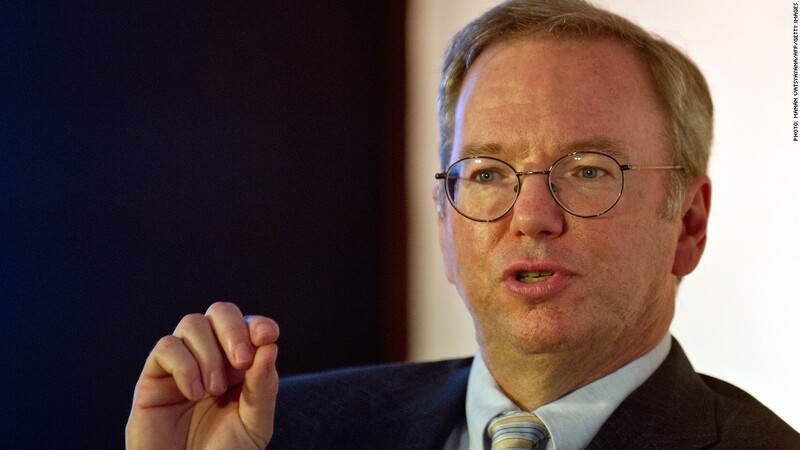 Eric Schmidt is making a visit to Myanmar, one of the world's largest untapped tech markets. Google Chairman Eric Schmidt advocated for a free and open Internet Friday during a rare visit by a top-level American executive to Myanmar, a former pariah state that is among the world's least wired. The country, emerging from decades of military rule and harsh international sanctions, is one of the world's largest untapped markets for tech companies. Internet access is extremely rare, and only a tiny sliver of the country's 50 million residents have access to cell phones. The trip, part of a longer swing through Asia, comes just two months after Schmidt made a controversial journey to North Korea over the objections of the U.S. State Department. While in the Myanmar, also known as Burma, Schmidt visited a technology park in Yangon, the country's most populous city. Schmidt has in the past written at length about the Internet's ability to empower citizens oppressed by autocratic governments, and is now producing a book on the subject. He returned to the theme Friday during a question-and-answer session, saying that "something extraordinary is going to happen in Myanmar." "By far the best formula [for development] is an open and free Internet," Schmidt said. Addressing a topic that would have been forbidden just a few years ago, the Google (GOOG) executive said that keeping the government out of Internet regulation will be key. "When you connect the citizens, they will have things to say about you [the government], and some of them will be critical. You have to get over this, and whatever you do, you should not censor it," he said. In Myanmar, Schmidt is likely to find a small but enthusiastic tech community that is eager to test new freedoms allowed by the country's rulers. The scars left by decades of oppressive rule and international isolation will be just as visible. As recently as 2007, the former military junta was engaged in a brutal crackdown on the Saffron Revolution, a movement led by the country's Buddhist monks. Even today, minority populations in Myanmar have few protections, and the country's powerful Tatmadaw military is engaged in a conflict with Kachin rebels in the north. But the government has also released scores of political prisoners in recent years, and liberalized sectors of the economy. Western governments have responded to the efforts by easing sanctions put in place to pressure the military regime. Burmese now enjoy more opportunities to access the Internet, but broadband service is mostly limited to the biggest cities. Cell phones, long prohibited, are becoming more common. American brands are still rare on the streets, while more popular handsets from China's Huawei and South Korea's Samsung command a steep price premium. For all his star power in the tech world, Schmidt will not be the most recognizable American to visit Myanmar in recent months. President Obama visited Myanmar in November, meeting with fellow Nobel Peace Prize laureate Aung San Suu Kyi, an opposition politician targeted by the junta. Obama-themed t-shirts are still a common sight on the streets of Yangon.